Take a minute to learn about authors Betsy Duffey and Laurie Myers and their journey to publication. At the end I have reviewed their lastest book and they have a giveaway for you. 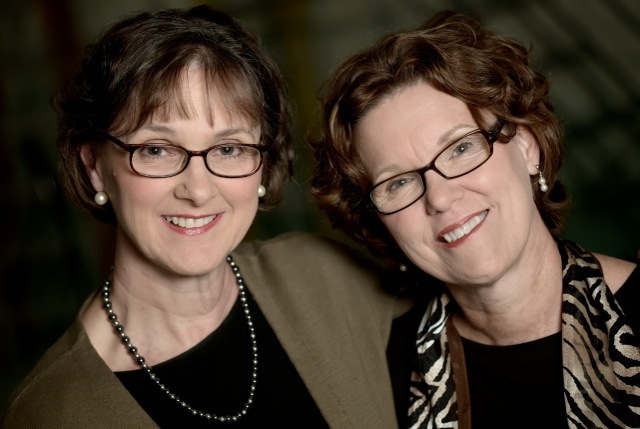 Betsy Duffey and Laurie Myers are sisters who write together. They were born into a writing family, and began critiquing manuscripts at an early age for their mother, Newbery winner Betsy Byars. They went on to become authors of more than thirty-five children’s novels. Their first book for adults is The Shepherd’s Song, Howard Books, March 2014. The Lord is my shepherd; I shall not want. He makes me lie down in green pastures. . .
Unbeknownst to Kate, her handwritten copy of Psalm 23 soon begins a remarkable journey around the world. From a lonely dry cleaning employee to a soldier wounded in Iraq, to a young Kurdish girl fleeing her country, to a Kenyan runner in the Rome Invitational Marathon, this humbling message forever changes the lives of twelve different people. Eventually, Kate’s paper makes it back to its starting place, and she discovers the unexpected ways that God changes lives, even through the smallest gestures. We had the vision that we felt was from God: to use fiction to show how scripture can change lives. We wrote with passion and with prayer and the result was beyond what we could have hoped for. It seemed that all would go smoothly. After all God was on our side. Then we hit some bumps in the road. The first difficult rejection we faced together was in the submission of a children’s book trilogy that we still love and still feel was inspired by God. The book made it to the sales meeting of a publisher and we were very encouraged by the initial comments and questions. Then the call came. They said no. It’s not that we hadn’t experienced rejection before, we had…lots. But this seemed so different. We were writing specifically for God. The rejection of the children’s trilogy made us stop and rededicate our work to God. The rejection opened us up to look at other possibilities in our writing. We were doing something that was familiar to us, writing children’s books. We wrote down three ideas for our next writing project and one of those ideas, was The Shepherd’s Song. It was a total surprise to us that we would attempt to write for adults. Out of our pain, God birthed something new. The course of our writing careers had been shifted by rejection. The second tough rejection was our 16 minute rejection. Our book for adults was complete. We had met an agent at a conference who was interested in representing us. We sat in the coffee shop where we write and pressed send on the computer and submitted The Shepherd’s Song to this agent. Sixteen minutes later an email popped up. We assumed the email had bounced back. Not so. The agent had said no. We sat in silence for minute, then prayed, what can we learn from this? God, what do you have for us in this? The agent could not have even read it. We looked carefully at the cover page of the query. Maybe the word count. We were not familiar with word counts for adult books and 35,000 words to us seemed a gracious plenty. Some research proved us wrong and over the next two weeks we added 20,000 words to the book. Our book was shaped by rejection. Then we had a chance to pitch of the book at a conference. We had rehearsed our fifteen minutes to present the book to an editor that we admire. Three minutes into the pitch she looked at us, tossed our one sheet back at us, and said, “I don’t get it.” And she didn’t. She said no. Somehow we made it back to the hotel room. We laid on our beds for a long while. We prayed and learned something: we were letting the book down. We weren’t presenting it well. We rewrote the first chapter and refined our pitch. Our pitch was refined by rejection. Fast forward, two months later when we met our agent, Greg Johnson, at a chance meeting at lunch during a conference. We were ready. We had an adult book ready for him, 55,000 words, a great first chapter and a knock-out pitch. He said yes! Over the course of our writing careers we have experienced a lot more than three rejections! We don’t like rejection but we see it differently now. In every vision there is some refining. God often uses pain or rejection to help us refine our God-given vision. In hindsight it makes perfect sense. When you are going through it, it just feels like pain. But later you understand. From the first few pages my heart was captured by the message of this book. Have you ever wondered if your life really makes a difference? I think we all have. This book will encourage you to believe that you are making a difference in ways and in people’s lives that you have never met or imagined. You will follow one piece of paper as it makes it way across the world and see how God’s Word can transforms lives. I love how each chapter is really like a short story all by its self. But each chapter is connected by the Word of God. With each page turn I wondered how was the paper going to reach someone new and how would it touch their lives? Everyone has a story, as I believe with all my heart, and this book shares the stories of broken individuals in need of hope and who find it in the best place possible, the Word of God. 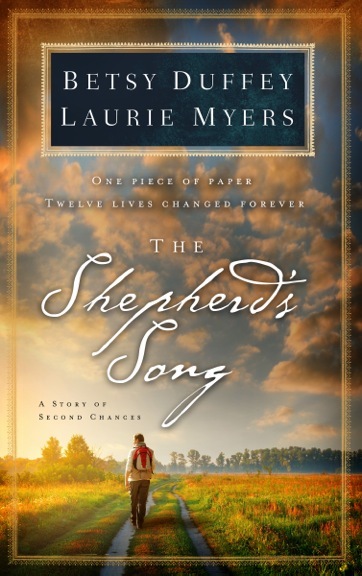 If you enjoy stories that encourage, you will love A Shepherd’s Song. Grab a copy at your local bookstore, Amazon, Barnes and Noble, Christianbook.com, Deeper Shopping or Book-A-Million. Leave a comment for Betsy and Laurie by April 8th at 5:00 pm to be entered to win your own copy. A copy of this book was given to me by the authors in exchange for an honest review. This is letter I wrote several years ago to someone in my life who was moving away. As I reread it this week I felt like God wanted me to share with you and that someone needs to hear this. So I have edited it to take out the identity of the person I actually wrote this too. This letter might be for you. Maybe this is God speaking to you today. I know we haven’t been close the last few years but it hasn’t always been this way. When you were born we spent a lot of time together. Anyway, you grew up, life changed didn’t it? But one thing that never changed was my love of you. I know I may not have always done a good job of showing it to you but I do love you and always will. So, I thought I would write you a little letter before you set off for your adventure. This is a really big step and I would be lying if I didn’t tell you I was a bit scared for you. I am praying for your protection and that this will be all you hope it will be. That you will find whatever it is you are looking for. The truth is I think deep down we are all looking for the same thing in life. We want to be accepted and fully known for who we are, we want to be loved. I know that was my driving force for years, to be loved and accepted. Unfortunately I never found that in people or things. They all eventually let me down and I was left feeling defeated. I know right now you might not believe this but I hope you will hold on to this letter and refer to it. I really feel like this is stuff I need to share with you before you leave. I have found what I have been looking for, it was actually with me my whole life. The love and acceptance I longed for is found in Jesus. I am sure you are rolling your eyes and that is okay. But I know He is real, I know it. If it wasn’t for Him I would not still be married, I would have gotten a divorce a long time ago. I would also probably be dead because there have been times I wanted to die and thought it would be better for everyone else. But God never gave up on me. He used people in my life to show me His great love for me. I am fully known and loved by Him. He will never let me down. Now this doesn’t mean my life is perfect, no way!!!! But it does mean when junk comes into my life I know there’s a reason, a lesson I am to learn and I have a place to turn. My Heavenly Father. I just discovered last summer that I never really trusted Him because of men in my life that have let me down. Men that I thought I could trust and have hurt me. I projected those feelings onto God because He is a Father. But I now know He is the only one I can trust and will never change. The bottom line is this: God loves (put your name here) so much that sent His Son, Jesus, to the earth. Jesus came and walked the earth and died for (put your name here). He took the nails so one day you don’t have to. So you can spend eternity in Heaven, if you accept Him, but you must accept this free gift. I know surrendering to that seems scary but it is so worth it. You won’t be sorry. The alternative is not pretty, actually it’s downright deadly. I know you may think this is a bunch of fluff and that is okay. God clearly told me to write this to you. I fought Him because it made me really uncomfortable but He told me to get over it. He has been uncomfortable many times. So I am obeying Him. A couple of things there: God has plans for you, His plans are for good, for hope and a future, His plans, not our plans. Don’t be deceived by that. I know I have, but I learned the hard way that my plans always lead to disaster. He will listen to you when you talk to Him. If you look for Him with all your heart you will find Him. And finally He will set you free. Often times we think we are free because we are making our own choices but really we are slaves to the devil, doing what he wants, which takes us away from God. It is all a trick. The devil tricks us into thinking we have more freedom if we follow him, I know because I have been there. And in truth I was wrapped in chains but I didn’t know the difference. But when God set me free from my chains of pride, anger, shame, guilt, (the list goes on) I knew what real freedom looked like. All right, I guess that is it. Just know that you are loved, always, you always have been. I love you for the person you are and the person you will one day be. Whether you believe any of this stuff is entirely up to you but I know I have been obedient and did what I was suppose to do. Like the title of this book you too will be held captive by this story. I love how the book opens with Daniel 1:1, 3-5 where King Nebuchadnezzer takes all the strong young men from Jerusalem. This sets the stage for you are about to read. Although this book is geared for teens I really enjoyed it. I would say if you have a teen in your life who likes the Hunger Games series they would enjoy this book but it’s even better because God is part this plot. A word of caution. There is talk about forced pregnancy because the Safe Lands are trying to rid themselves of this disease that is going around so they are trying to have babies that are born without being infected. However, there’s nothing graphic or detail about how these girls are getting pregnant, I was not offended at all. I always recommend reading a book before you allow your child or read it with them so you can have a conversation with him or her about the content and you can voice your thoughts in a healthy way. The three brothers in the book were so different and Jill does a wonderful job of giving them each their own voice and personality. I think you will enjoy this glimpse into a possible future that isn’t so good but we are always looking for the same thing….hope. 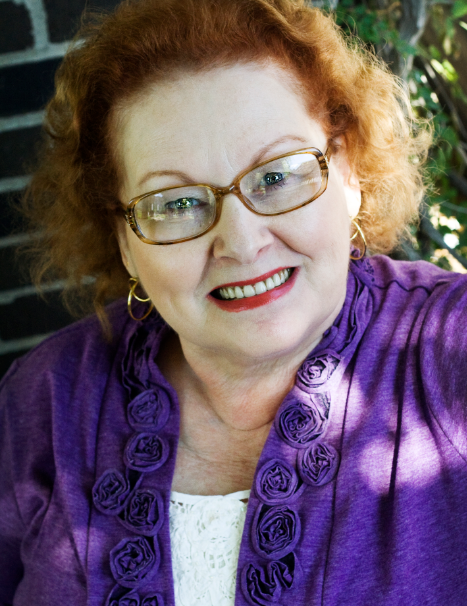 Today we get write to the point with Lena Nelson Dooley. I am sure you will enjoy learning more about this wonderful author. Read until the end. She has a giveaway for you. I’ve been married to the love of my life for almost 50 years. We live in Texas. All of our children, grandchildren, and great grandchildren live close to us, except our army grandson. Actually, I’ve always written. I can’t not write. God created me to write, and I’d be writing, even if I weren’t being published. I come from a Christian home. Jesus, church activities and church friends have been a part of my life as long as I can remember. I asked Jesus into my heart when I was 7 years old. Then when I was in my late 20s, I had a dynamic experience with Him that has taken me deeper into His word and deeper in my relationship with Him. I can’t imagine living a life without Him in it. My last books are the recently completed McKenna’s Daughters series—Maggie’s Journey, Mary’s Blessing, and Catherine’s Pursuit. This series is about identical triplets who were born on one of the last wagon trains on the Oregon Trail. Their mother dies giving birth, and they are separated. They don’t find out until near their 18th birthday that they have sisters. My books are romantic, but they deal with deep issues as well. They also have important secondary plots. These books deal with bitterness, unforgiveness, a poor self-image, lack of commitment, etc. I want the readers to see these things lived out through the lives of my characters so if they are facing any of these things, they can see their way through with hope and grace. I’m the screenwriter on a movie project that should be ready for release by the end of 2014 or early 2015. I’m adapting another author’s book to the screenplay. The story is about truth, love, and hope told through a romantic suspense story, heavy on the suspense. 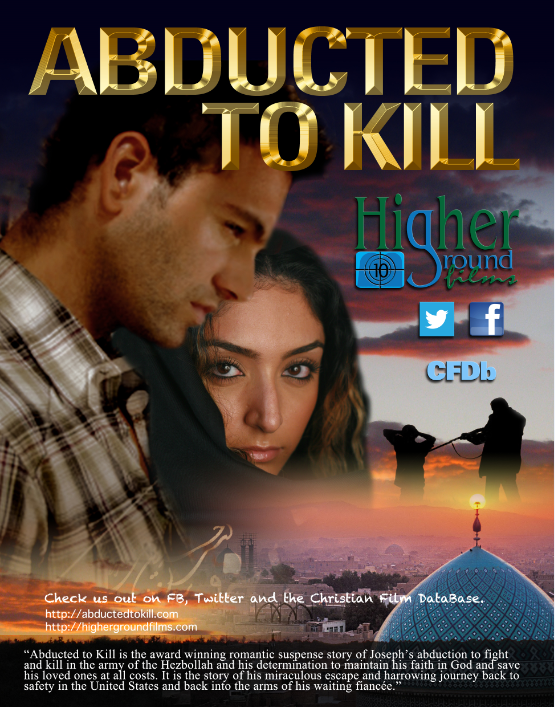 It takes place in the late 20th century in the lives of persecuted Christians. When I’m asked this, I often say it’s the one I’m reading right now. I have so many authors whose books I love. I did recently read a very intriguing book from an author I hadn’t read before. Friend Me by John Faubion. The premise was interesting, and it took the technology one step beyond what is available right now but was plausible. It’s also a suspense novel. What’s not to love. Friend Me is on my wish list. It sounds very good. I am not a young woman, so there have been many such events. One I could share is that another publisher had my McKenna’s Daughters series and told my agent that they would send a contract after the first of the year. I was happy about that. But when the first of the next year came, their company decided to go another direction. That hurt … a lot. They had asked to keep the submission for quite a number of months. But within four months after that, another publisher liked it, took it to committee quickly, and contracted me at a higher royalty percentage. The way things happened, both my agent and I saw God’s had move in many ways during that time. I know many people have one life verse. I’ve had verses that God gave me for various periods of my life. The first one was Psalm 37:4-5 Delight thyself also in the Lord: and he shall give thee the desires of thine heart. Commit thy way unto the Lord; trust also in him; and he shall bring it to pass. This is the verse He gave me when He told me to become a professional writer. I love my readers. Many of them have become good friends. I love to hear from them through my website: www.lenanelsondooley.com. I also like to connect with them on social media. Or they can even write me letters. My mailing address is on my website as well. And if you like reading my books, please write reviews of them on Christianbook.com, Amazon, Barnesandnoble, or other Internet sites. And tell the people you know about my books. Ask your local librarian to put them in the library. Things like the are blessings to authors. Lena, thanks so much for sharing with my readers. I know they love hearing from authors. Readers, Lena is giving away a PDF copy of your choice of one of her McKenna’s Daughters books. Just leave a comment by April 1st at 5:00 pm to be entered. God is always speaking . . . even when He doesn’t use words. We live in a post-verbal society that communicates through images–television, smartphones, the Internet–and our Creator longs to communicate with us visually if we’ll live with our eyes wide open. I have always been a dreamer. I can remember most of my dreams in the morning or have an idea of what happened and sometimes something will trigger my memory and I will remember the craziest dream. My husband tells me I always have crazy dreams. And honestly, a lot of them do seem strange. Seeing the Voice of God challenges you to start looking at your dreams in a different way. It asks us to wake up (literally) and take notice of what you have been dreaming about. Laura encourages you to write down your dreams as soon as you wake up to gain a better understanding of them. And then run them through the filters or categories she offers in the book to see what God might be speaking to you. She also talks about the importance of having a good night’s sleep and steps you can take to improve your sleep. I really liked this book and have been challenged to pay more attention to my dreams and see if God is trying to tell me something. Although, I know some dreams are clearly not from God and in fact the enemy has used dreams in my life to plant seeds of deceit. Thankfully, I have learned to identify these but it has taken me a long time. Grab your copy at you local bookstore, Amazon, Barnes and Noble, Christianbook.com or Books-A-Million. 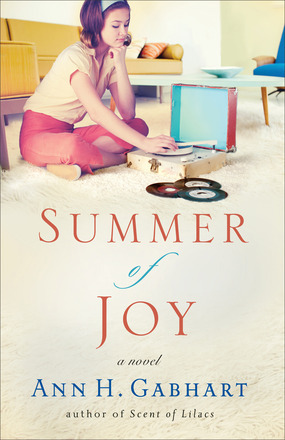 As summer draws to a close Jocie’s world seems serene–but is it just the calm before a storm? Unbeknownst to Jocie Brooke and her family, two people are making their way to the small town of Hollyhill, Kentucky. One everyone thought was gone for good and the other no one’s ever heard of. Still, one thing is sure–they promise trouble. The past is coming to call, threatening to destroy strong relationships that everyone has simply taken for granted. This is a book that took me a few chapters to really get into but once the book grabbed me I didn’t want it to let me go. There are many different characters in this story and you will be in the head of a lot of them. It think that’s why it took me a while to get into it, the first few chapters I was in a different person’s head and didn’t connect with any of them right away. This is the third book in a series and there are a few references to things that took place in the other books but once I got a grasp on what was happening in this book I had no problem absorbing this charming set of characters and the intriguing plot. I really liked the mystery behind Mr. Hammond who is Jocie’s English teacher and seems to have it out for her and have a thing for Leigh, David’s (Jocie’s dad) girlfriend/fiancé. What’s going on with him? Why does he seem to be targeting Jocie and her family? Then there are people from the past who have the potential to show up in Hollyhill and shake things up. What will happen to the characters we have come to love once they come and bring their baggage with them? This story is full of broken people who need a Savior. God’s grace is all over this book and great example of how each of us need to extend that grace to our brothers and sisters in Christ. 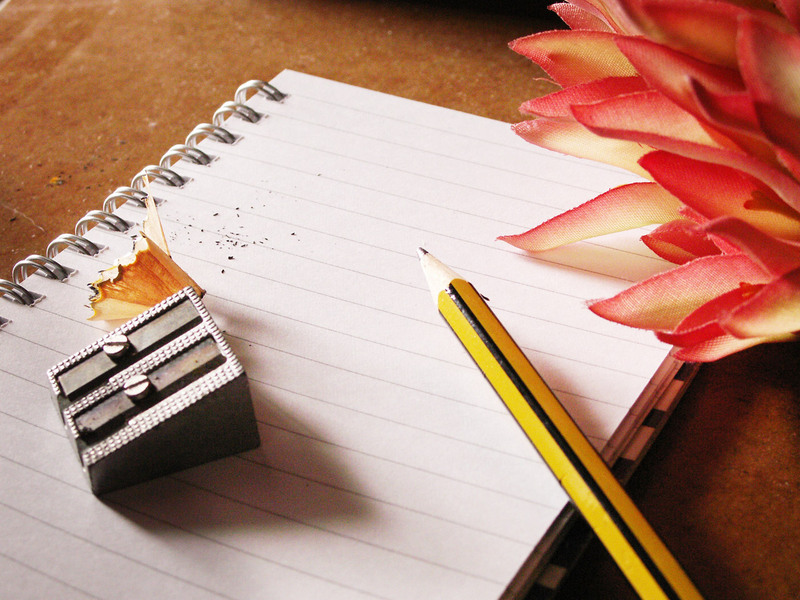 As an aspiring writer I have learned a lot about writing over the last few years. One thing I learned I think applies to your lives in Christ. And that is…..leave room for white space on the page. When I open a book I look for two things. If I see them I know the book is worth reading. 1) Are there several paragraphs on the page? Are there indents which leave white space? If I open a book and see a big block of text I am turned off immediately. It looks like too much. I need room to breathe, I need to see white space. 2) Do I see quotation marks on the page? This means there is dialog. If I see only big blocks of text and no dialog I know I won’t like the book. Dialog (which is a conversation) is what moves the story along and adds tension to the plot. So my question is if someone opened the book of your life and looked at your pages what would they see? Are you leaving white space? You see, I believe it is in the white space of our lives that God moves in. If we fill every space of our lives with stuff and things there’s not room left for God. I am so guilty of this in my own life. I do, I do, I do and then I fill, I fill, I fill and my life is crowded. This leads to no conversations with God. I am too busy. But conversations are what moves things along, including us. Conversations with God move our hearts and lives closer to Him. So, now it’s times for you to flip through your pages. What do you see? Does your life need some editing? Do things need to be deleted? Do you need to add some dialog? Are you ready to add some white space to your page? Let’s get started right now. Here’s a link to one of my favorite worship songs, click here. Take a minute and just worship, sit in your Saviors presence. Jesus loves you all so much. Never doubt, never forget. It is truth….the Bible tells us so.